In New Jersey, when a driver is stopped by a police officer on suspicion of driving under the influence, there will be a series of procedures that the officer will follow as he or she investigates the possible traffic infraction. First, the officer must witness or be informed that a driver is behaving in a way that might be consistent with DWI. That could be driving erratically, crossing the center line, performing dangerous actions or simply driving well under the posted speed limit. Once there is probable cause to make the traffic stop, the officer will speak to the driver. When asking to see the driver’s license, vehicle registration and other pertinent information, the officer will look for clear signs of intoxication. These can include slurred words, bloodshot eyes or the smell of alcohol. Then the officer will request that the driver perform field sobriety tests. In New Jersey, the three standardized field sobriety tests are the Walk and Turn test, the Horizontal Gaze Nystagmus test and the One Leg Stand test. Next, the officer will request that a driver take a breathalyzer test to determine blood alcohol content (BAC). Drivers in New Jersey might be under the impression that they are within their rights to refuse to take the breathalyzer test. This could be for any number of reasons such as a mistaken belief that this falls into the category of protection against self-incrimination. In truth, drivers agree to submit to a breathalyzer test when they receive their driver’s license. This is known as implied consent. With implied consent, it is an entirely separate charge if the driver commits Refusal. That means that even if the driver has had nothing to drink or has had something to drink, but is far below the legally drunk BAC of 0.08%, there will still be an arrest for Refusal. The penalties for Refusal can vary, but in general, they are similar to what a driver will face if he or she is convicted of DWI. Sometimes they’re worse. The officer cannot force a driver to take the breathalyzer test, but the penalties are designed to get the driver to acquiesce. For a first time offender of Refusal, the driver will likely have his or her driver’s license suspended for between seven months and one year. There will be a fine of between $300 and $500. The driver will have to pay the fee for the Intoxicated Driver Resource Center of $230. $100 each will go to the Alcohol Education and Rehabilitation Fund and the drunk driving fund. There will be a surcharge of $1,000 per year for three years. And there will be a $75 charge for the Neighborhood Services Fund. For a second offense, the driver will have the driver’s license suspended for two years. The fine is raised to between $500 and $1,000. All other fees stay the same. For a third offense and beyond, the fine is $1,000. The other fees are the same except for the annual surcharge, which is raised to $1,500 per year for three years. These penalties are exponentially worse if the infraction is committed in a school zone. If the act of Refusal has been committed and there was an arrest for it, the driver and the defense attorney will try and formulate a defense for it. 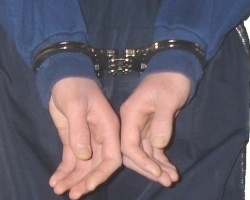 The prosecution is required to prove several points when an arrest is made. First, the officer must have had probable cause to make the traffic stop and investigate. Second, the driver must have been arrested for the traffic infraction of DWI. Third, The officer must have made a proper breath test request to the driver. Fourth, the driver must have refused to take it. If the officer had no reason to stop the vehicle and investigate for DWI, then the defense attorney can claim that anything that happened afterwards should be thrown out. That includes refusing to take the test or clearly being under the influence. Without probable cause, there should not have been a traffic stop. The officer must clearly request that the driver take the breathalyzer test and also provide the information that refusing is illegal based on implied consent. This is read in a prepared statement. If the driver responds affirmatively to the first part of the statement, then the officer will continue with the remainder of it. If the driver refuses a breath test, then there will be a charge of Refusal. Even if the driver states that he or she would like to talk to his attorney in lieu of saying yes to taking the test, this will be seen as a Refusal. Some drivers believe that not replying to the officer at all is a method to avoid outright refusing to take the test, but this is not considered to be a proper response to the officer’s request. In short, a driver is not legally allowed to refuse to take a breath test when requested to do so by a law enforcement officer or there will be consequences in line with a DWI.